Mistletoe is commonly used as decoration around Christmas time. Many people only use it as a decoration for traditional reasons. If you and someone else are under the mistletoe decoration you are supposed to have a kiss. This may make the mistletoe seem like a romantic little plant. While many people use mistletoe as a traditional Christmas decoration, not many people question why it is used as a Christmas decoration. The reason why mistletoe is used as a Christmas decoration adds to this plant’s symbolism, and will be discussed later in this article. However, the mistletoe’s symbolism extends outside the winter holidays. There was a time when this plant wasn’t used for holidays, so it has symbolism for other times of the year. The symbolism around the mistletoe plant is eye-opening, and it may make you think more of these little white berries. Thousands of years ago, in about the first century AD mistletoe was used by the Celtic druids for many different things, as they thought that it was a cure-all. It was thought to be basically magical plant. It got its romantic roots because it was said to make barren animals fertile again. However, mistletoe did have some negative connotations as well, as some varieties of the plant are poisonous, which is why people don’t eat them. However, if we go back to the time of the Celtic druids we can get a better look at the other sides of the mistletoe’s symbolism. While there is some romantic symbolism here, there is also many other aspects to this plants’ symbolism. The druids cared very much about nature, and found much symbolism in it. They had a special relationship with trees, especially oak trees. Deciduous trees in general were full of powerful symbolism to the druids then, and they are still full of symbolism today. In case you didn’t already know, deciduous trees are the trees that lose their leaves in the fall and winter, and grow them back in the spring. Trees with needles, pine trees that stay green all year, are called carnivorous trees. Deciduous trees were important in Celtic astrology because of the way that they lost their leaves and later grew all of them back. This symbolized the circle of life and death, growth and renewal, and change in general. When mistletoe would grow on these trees it would add further meaning. Mistletoe is found in the winter when the leaves all all or mostly gone. This symbolized life in the midst of death to the Celtic druids. While the whole of the tree seemed to be dead or hibernating, the mistletoe plant still showed signs of life. It was very rare to find mistletoe in their favorite tree, the oak tree, which made mistletoe even more important. The oak tree symbolized life and power to the druids. And when mistletoe was on the tree, it added more, but opposite symbolism to the tree. 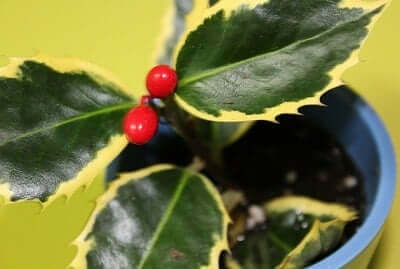 Since the mistletoe plant is best known as being a Christmas decoration, we will discuss why it is used as a decoration. Only a couple hundred years ago the British started using mistletoe as a Christmas decoration. Back then, kissing under the mistletoe was said to bring good luck, and bad luck if you didn’t kiss under it. This further made the mistletoe a symbol for romance and luck. Once the British started to use mistletoe as a Christmas decoration the plant started to be overly associated with romance and luck. Mistletoe has a powerful combination effect on symbolic meanings. It means a lot on its own. but when it is growing on another plant, it means even more, depending on what kind of plant it is growing on. This also shows how symbolism can change over time and through different cultures. This is not rare for symbolism, as it happens all of the time.